Phospholipids form bilayers in water due to the amphipathic properties of phospholipid molecules. Membrane proteins are diverse in terms of structure, position in the membrane and function. Cholesterol is a component of animal cell membranes. The fluidity of membranes allows materials to be taken into cells by endocytosis or released by exocytosis. Vesicles move materials within cells. Why do the lipid tails of phospholipids attract each other? How does a phospholipid bilayer prevent the loss of water from cells ? 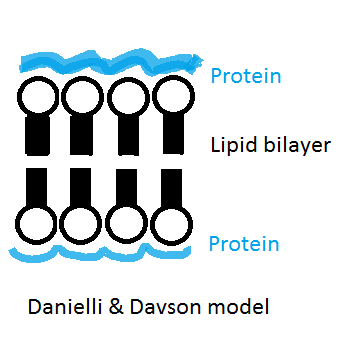 How can proteins attach to the bilayer? What functions can membrane proteins have within cells? What other substances are found in the plasma membrane in addition to protein and phospholipid? How can cells control the movement of substances through the plasma membrane using the membrane proteins? How can the cell take in or excrete substances using membrane fluidity? Biologists use models to represent the real world, e.g. cell membranes. Evidence is used to support or to falsify theories. Theories are modified in the light of new evidence and gradually improve. In some circumstances evidence in support of an old theory which was once falsified comes to light. Application: Cholesterol in mammalian membranes reduces membrane fluidity and permeability to some solutes. Skill: Drawing of the fluid mosaic model. Skill: Analysis of evidence from electron microscopy that led to the proposal of the Davson-Danielli model. Skill: Analysis of the falsification of the Davson-Danielli model that led to the Singer-Nicolson model. Students will be able to demonstrate their factual understanding in the worksheets and question sheets in all the activities below. In the Falsification of membrane structures there is an open ended task to link research evidence to the nature of science. This allows bright students to extend themselves. The two experiments on membrane permeability and plasmolysis are useful in scaffolding student skills for the Analysis and Evaluation aspects of the IA as part of the PSOW. Time: 1h Students will learn how to draw and label a diagram of the fluid mosaic model of membranes. Using a webcast and revision flashcards the teacher has more freedom to assist students individually. Time: 1h The accepted model of membrane structure today is the fluid-mosaic model but this has not always been so. The evidence has supported, step by step, a succession of new models each a little closer to the real structure of membranes in nature. The story of this progress illustrates many ideas about the nature of science, especially those connected with exploration and discovery. Time: 1h In this activity students see for themselves the wonderful interactions which occur inside cells and between cells using a wonderful short animation from Harvard university. 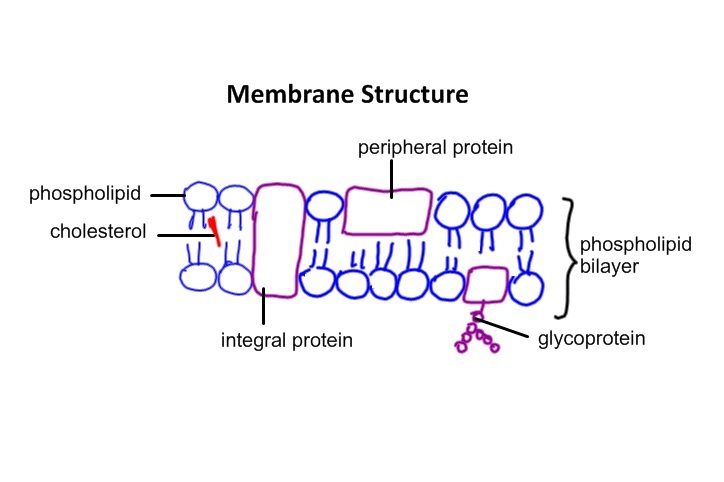 The roles of some membrane proteins are clarified as well as the function of cholesterol in the cell membrane. Time: 1h This experiment is a good first assessment of the new analysis criteria. Students measure the diffusion of pigments out of beetroot cells. By increasing the temperature of the heat treatment the leakage through the plasma membrane changes. The intensity of the colour of the leaked betalin pigments can be measured using a colorimeter. Time: 1h Students use skills learned earlier in the topic to prepare slides of onion cells, collect data in different solute concentrations, and use a scatter graph of the results to identify the concentration for 50% plasmolysis in each type of onion. This is good introduction to data processing and data analysis questions in IB exams.